Hayday, Matthew. "Canadian Parents for French". The Canadian Encyclopedia, 04 May 2017, Historica Canada. https://www.thecanadianencyclopedia.ca/en/article/canadian-parents-for-french. Accessed 23 April 2019. Canadian Parents for French emerged out of early efforts by English-speaking parent groups across Canada in the 1960s and 1970s to obtain better French second-language instruction opportunities for their children so that they could become bilingual. Against the backdrop of Québec’s Quiet Revolution and the Royal Commission on Bilingualism and Biculturalism, school boards in Québec created the first experimental French immersion programs. These successful early initiatives prompted parents in other regions of Canada in the late 1960s and early 1970s to try to convince their local school boards to replicate these programs, or at least to expand their core French offerings. Canada’s first commissioner of official languages, Keith Spicer, sought to encourage more Canadians to become bilingual. Over the course of his travels, he encountered many parents trying to convince their schools and school boards to improve their French second-language programs, but noted that these parents were often working in isolation and lacking information about funding, pedagogical research, program options and comparable experiences in other regions. As one of his final initiatives as commissioner, he organized a conference in Ottawa bringing together parents, education researchers, language exchange program coordinators and representatives of federal, provincial and municipal governments. The parents selected a provisional executive committee and planned to hold a larger national conference before the year was out. The first national newsletter of Canadian Parents for French (CPF) was published in June 1977, with financial backing from the office of the commissioner of official languages. CPF held its first national conference in October 1977, funded by a grant from the Department of the Secretary of State. At this first conference, members decided on an organizational structure that would have a presence across Canada, with a national board consisting of 10 provincial branch directors. Provincial branches could choose to establish local chapters at the community level. CPF members elected their national executive, with Pat Webster as the first president. Pat, together with her husband Norman Webster, at the time a Globe and Mail columnist, had been active in campaigns in the mid-1970s to create a French immersion program in Oakville, Ontario, and they had been working with parents across the Greater Toronto Area to expand French second-language learning opportunities. In its early years, Canadian Parents for French (CPF) focused its efforts on building its membership and disseminating information about the availability of French programs, recent research regarding French immersion and other French second-language (FSL) instructionprograms, and strategies for parent groups to obtain improved programs. CPF published a national newsletter, a directory of French immersion programs, a book of essays entitled So You Want Your Child to Learn French! (1979)and pamphlets and booklets on various aspects of French-language learning. It held an annual national conference and conducted studies into parental interest in, and demand for, FSL programs. At the provincial branch and local chapter levels, CPF’s parent volunteers helped to support groups of parents who were lobbying for the creation or expansion of French immersion and core French programs, sharing information about funding opportunities and lobbying strategies. In the mid-1980s, it conducted its first national poll, working with Gallup, to assess the level of support among Canadians for bilingualism and improved French programs. Although the bulk of its funding came from the federal government through grants from the Department of the Secretary of State, CPF also began charging membership fees within the first couple of years of its operation. CPF’s lobbying efforts have been credited as being a major factor in convincing school boards and provincial ministries of education to expand their French immersion offerings. In the first decade of its existence (from 1976–77 to 1986–87) the number of French immersion students in Canada rose from about 17,763 to 202,736. In addition to its activities at the school board level, Canadian Parents for French (CPF) has attempted to lobby both the federal and provincial governments on issues related to language rights and funding for second-language education. It regularly submitted briefs to the federal government and the Council of Ministers of Education regarding the renewals of the Official Languages in Education Program, the main mechanism through which the federal government supported minority- and second-language education programs. During the negotiation of the Canadian Charter of Rights and Freedoms, CPF pushed (unsuccessfully) to have section 23 of the Charter guarantee a right to education in English or French to all Canadians. It argued for a more active defence of the federal government’s role in minority- and second-language education during the debates over the Meech Lake Accord in the late 1980s. Since the 1980s, CPF has collaborated on a regular basis with francophone organizations, such as the Fédération des communautés francophones et acadiennes du Canada to promote language exchanges and issues related to language rights. CPF has become embroiled in the heated debates surrounding the desirability of French immersion, and some critiques of this program have been aimed at CPF as well. Critics of French immersion have argued that the program is elitist and have debated whether it can accommodate children with learning disabilities. Other more virulently anti-bilingualism organizations active in the 1970s, 1980s and 1990s, such as the Alliance for the Preservation of English in Canada, argued that any expansion of French-language programming, and particularly French immersion, is unnecessary in Canada — and possibly part of a French conspiracy. CPF has pushed back against these critiques by citing academic research that demonstrates that French immersion is a program that can benefit all children, including most children with learning disabilities, if proper supports are provided. It has argued against caps on French immersion program enrolments, arguing that it is these limits that contribute to the perception that the program is elitist. CPF members have argued that language learning, in addition to opening up job opportunities and providing an enriched learning experience, can also have cognitive benefits and promote intercultural understanding. In the 1980s, CPF began more actively pushing school boards to provide other French programs, including enhanced core French and extended French, to provide options for children with different language learning priorities and to combat the impression that it was solely interested in French immersion. In the mid-1990s, the federal government cut back its support of official languages programs, during a period of substantial budget cuts. This both affected funding for Canadian Parents for French (CPF) and federal funding to support French second-language instruction and French immersion programs at the provincial level. These years saw a substantial slowdown in the growth of French program enrolments, and reorganization of CPF. The structure of CPF’s national board changed to an elected executive that was no longer province based, although it maintained its overall structure of branches for each province. Some activities were temporarily scaled back, including the annual conference and the frequency of the national newsletter’s publication. Federal funding for official languages and for CPF activities was restored in the late 1990s. CPF’s main source of financial support continues to be the Department of Canadian Heritage (which replaced the Department of the Secretary of State in the early 1990s), although it also receives some funding from sources such as grants and membership fees. It has a few paid staff, but continues to rely primarily on the efforts of parent volunteers for its activities. The organization has continued its efforts to support the expansion of opportunities for French second-language learning in Canada through its publications, lobbying and national information campaigns. Its national and provincial branches have periodically sponsored polls to determine the level of support in Canada for bilingualism and French-language learning. CPF has also embarked on new forms of public engagement, including a national French-language public speaking competition, a website and the transformation of its newsletter into a magazine. It coordinates a report on the state of French second-language (FSL) education in Canada and continues to disseminate information concerning the latest research on FSL and French immersion education. In 2017, CPF had over 26,000 members. Judy Gibson and Sylvie Roy, “How a grassroots organization has contributed to the advancement of Canada’s official languages policy,” Journal of Immersion and Content-Based Language Education vol. 3, no. 2 (2015). Matthew Hayday, Bilingual Today, United Tomorrow: Official Languages in Education and Canadian Federalism (2005) and So They Want Us to Learn French: Promoting and Opposing Bilingualism in English-Speaking Canada (2015). Marcel Martel and Martin Pâquet, Speaking Up: A History of Language and Politics in Canada and Quebec (2012). Graham Fraser, Sorry, I Don’t Speak French: Confronting the Canadian Crisis that Won’t Go Away (2006). Leslie A. Pal, Interests of State: The Politics of Language, Multiculturalism and Feminism in Canada (1993). Canadian Parents for French, More French, s’il vous plait! (1985) and So You Want Your Child to Learn French! A Handbook for Parents (1979, rev. 1990). 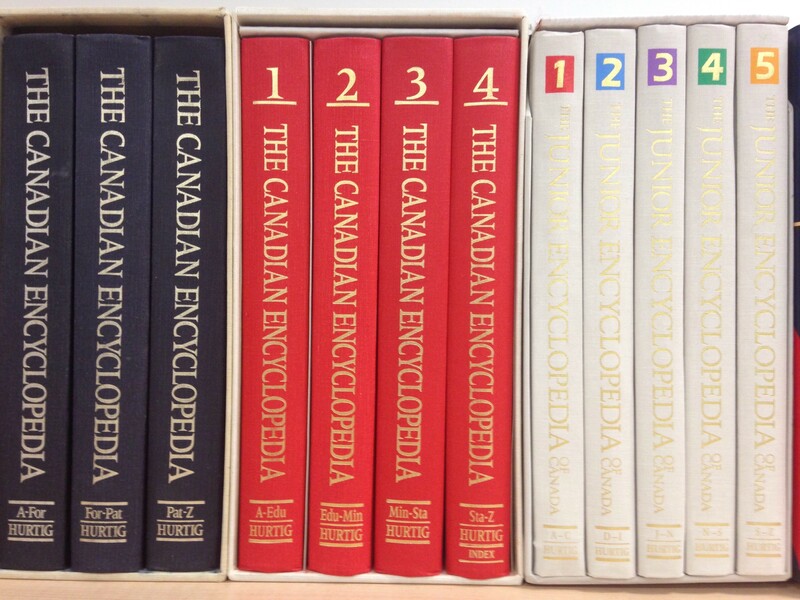 The Canadian Encyclopedia: "The Biggest Publishing Project in Canadian History"